Café society was on the pavement, students were sunbathing on the Meadows and sunglasses required on our first morning in Edinburgh. 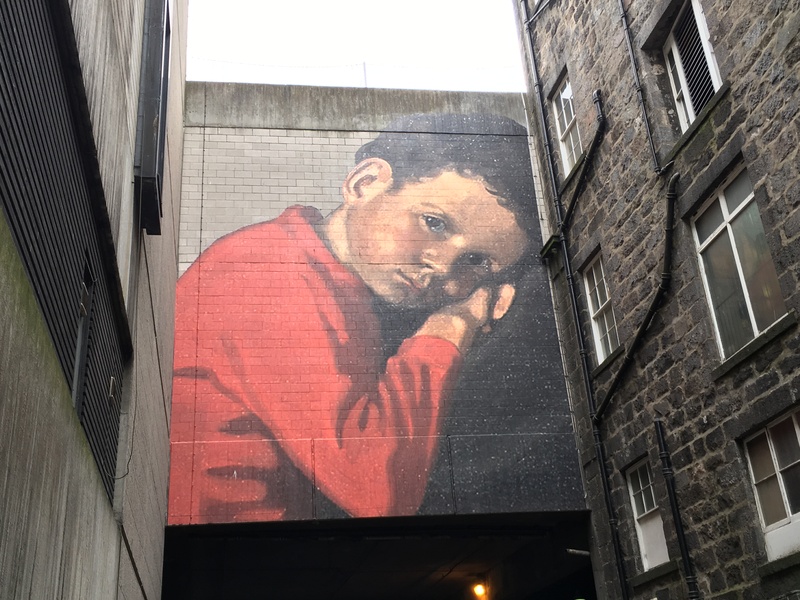 We had 36 hours there for business and pleasure: seeing our solicitor, picking up supplies and having a very enjoyable dinner with a friend before and early start to drive to Aberdeen the next morning. We had hoped to be driving over the Forth on the new Queensferry Crossing which was originally scheduled to open in May but has been delayed so that will have to wait for another trip. There were several signs on the A90 warning that deer might be crossing the road, even in the middle of Dundee. However, it was not until we were on a minor road to Fettercairn that a Roe hind ran across in front of us and disappeared into the forest. 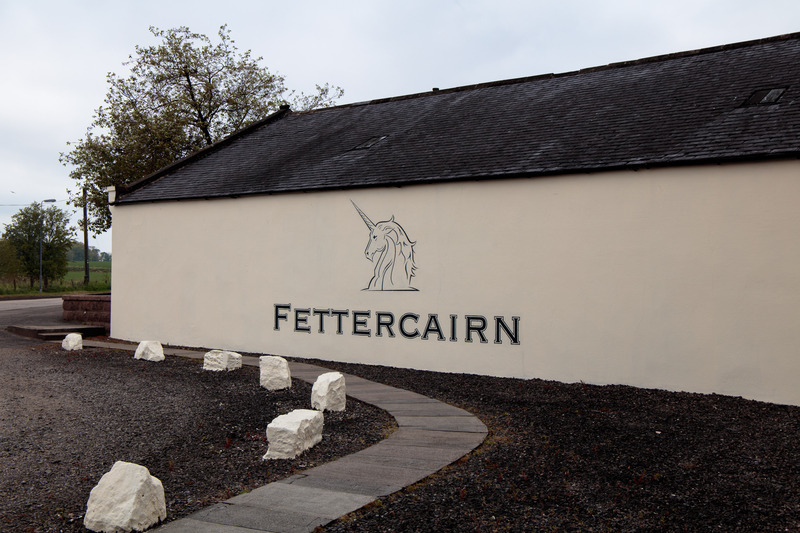 The diversion to Fettercairn was to photograph another distillery for the photobook of all those in the British Isles. The unicorn comes from the Ramsay family crest: they founded the distillery. 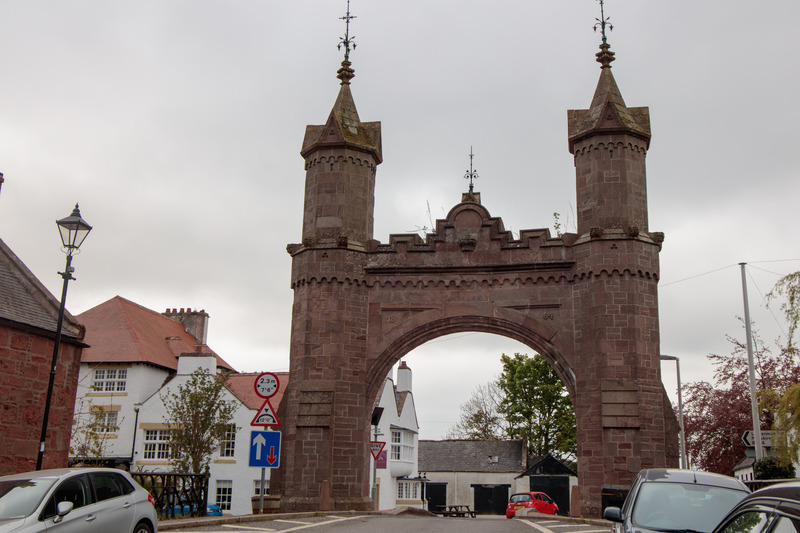 Noticing signs to the arch I had to ask about that and was told that it had been erected to commemorate a visit to Fettercairn by Queen Victoria in the early 1860s. The arch is dated 1864. Just south of Aberdeen there are extensive roadworks as a city bypass is being constructed. Looking at the map I could see that its route might be contentious especially through Deeside and the friends we met for lunch in the city confirmed this. Interestingly Aberdeen also missed the chance to develop the waterfront with historic buildings behind it and instead has an enormous shopping centre. 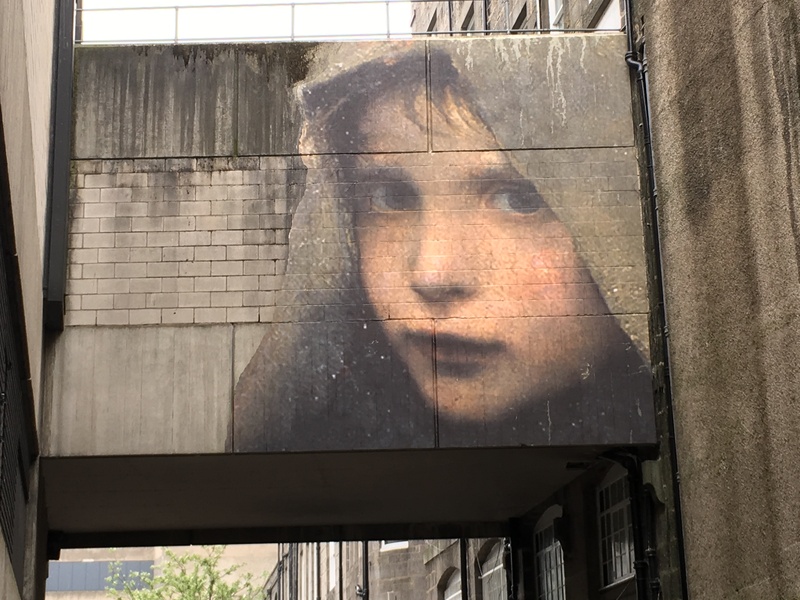 Our friend also showed me some street art which is in a small back street and I would never have found it without her help. Pottering around the city centre before we had to board the boat I discovered a good-sized Oxfam book and music shop on Back Wynd, just off Union Street. I added a volume to my New Naturalist collection and James found some music. A little while later we were on the ship. It was built in Finland and the harbour had boats registered in Bergen, Panama, Limassol and Monrovia that I could see. 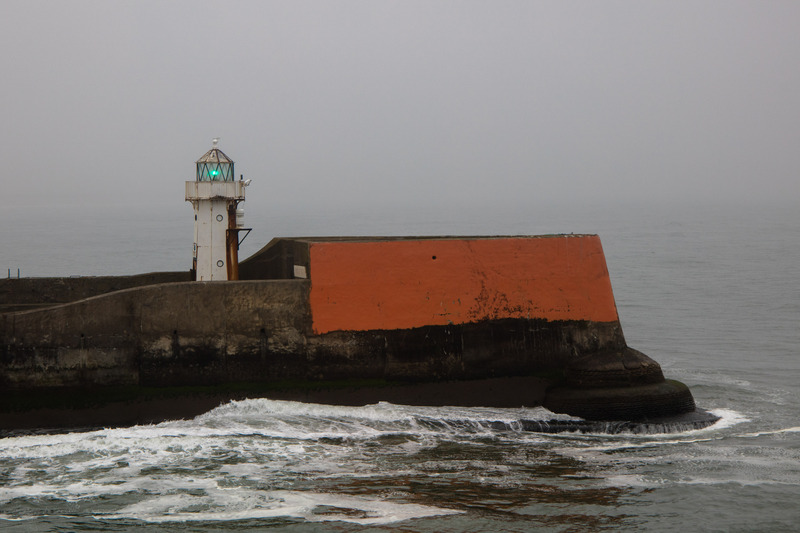 We cast off and as Aberdeen disappeared in the mist, the pilot boat left us and we sailed past the last light on the harbour wall. We arrived into Lerwick on time and after picking up more supplies at the Co-op, stopped at a coastal espresso bar. They directed us to the nearest petrol station more reliably than the car’s satnav and James was given a free can of Irnbru after filling up there. While he was doing that, I noticed Clickimin Broch across the road. 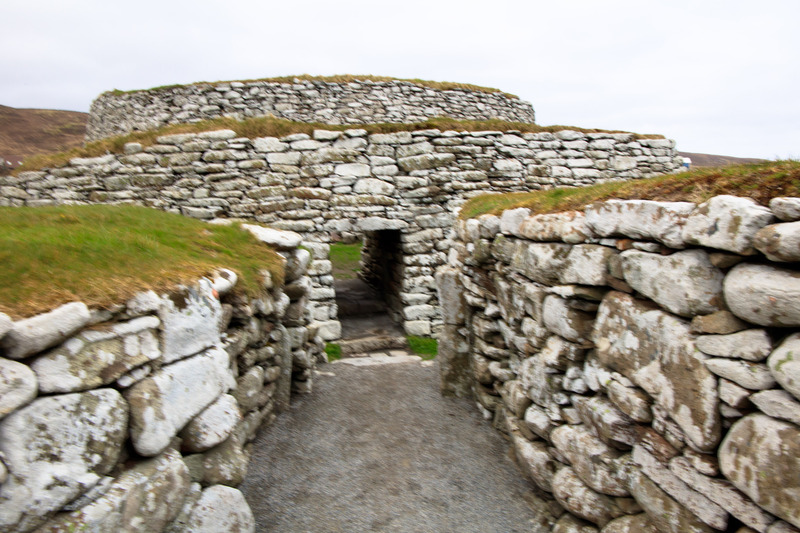 It was built over 2,000 years ago and no-one knows whether it was a fortress or merely a residence. It remained partially submerged until 1874 when the loch water level dropped. various excavations have taken place since the 1860s. Driving north on the A970 we passed abandoned crofts and Voe where the last clearances took place in 1799. The residents farming the land were removed so that larger scale sheep farming could be introduced. We reached Mavis Grind, just south of Brae. The name means ‘gateway of the narrow isthmus’ and the just over 100m wide strip of land separates St Magnus Bay and the Atlantic Ocean on one side with Ell Wick, Sullom Voe and the North Sea on the other. Until the 1950s it was used as a boat drag to enable rapid travel from one sea to the other. On our visit locals were trying to clean up the shore, disentangling plastic from seaweed. A lot of it comes from fishing nets and creels. I spoke to one of the women who said that as a child she would pick broken glass from the net floats off the beach but that now it was all waste plastic. There is a path around the area but as it was extremely windy and the car thermometer was reading 1 degree, we decided to leave that for another day. A little further on we stopped for a picnic lunch. We stayed in the car as the thermometer now read -1 degree. This did not last as we continued into Northmavine but as the thermometer rose, the rain fell. A small diversion from our route took us to the St Magnus Bay Hotel in Hillswick where we ensconced ourselves in the bar until we could get into the lighthouse. Renovation was under way and the proprietor told us that this was the first time for 50 years. He explained that the building was listed and this was delaying work. The toilets have already been re-vamped and I have never seen a sparkly toilet seat before. 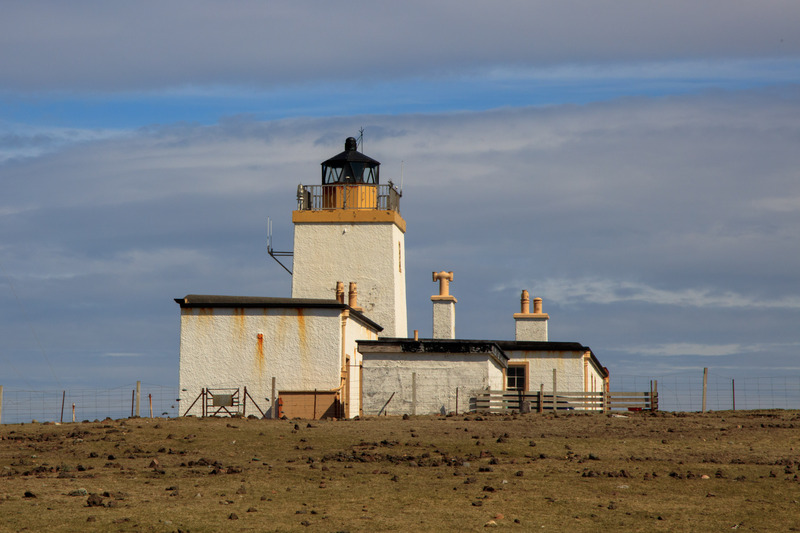 We eventually reached Eshaness Lighthouse which was ready for us. It is the last Northern Lighthouse constructed by the Stevenson family and was automated in 1974. The light keepers house fell into private hands and in 1999 an American author Sharma Krauskopf bought it. She wrote a book about living on Eshaness called ‘The Last Lighthouse’. I must try and find that. In 2005, the Shetland Amenity Trust purchased the cottage and now rent it out as holiday accommodation. They do not have access to the tower. We settled in hoping that the mist would lift later. P.S. the girls loved the photos of the amazing street art!